In this course, students will gain in-depth knowledge about the anatomy of the skin as well as the Fitzpatrick skin types associated with laser procedures. Students will learn the basic fundamentals of how cosmetic lasers work; they will be able to describe clinical applications of laser procedures and be better equipped to promote effective laser safety. 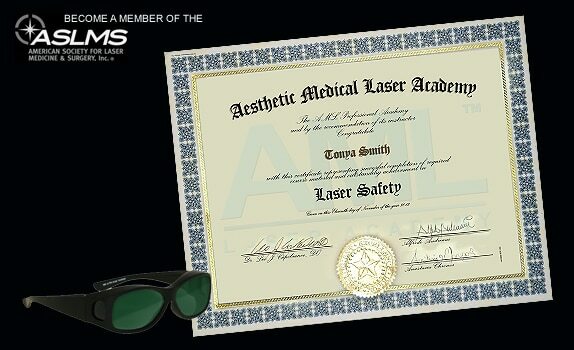 After taking this course, students will feel comfortable applying their thorough knowledge of laser safety in the field. Our lead medical instructor will guide students through every step of the curriculum. This course also includes an intense marketing and career advancement chapter taught by medical spa owner and award-winning lead instructor Dr. Leo Capobianco. Dr. Capobianco shares his many secrets for building your successful business whether you’re an employee, independent contractor, or business owner.